Year three spelling worksheets help your child learn how to spell words correctly and easily. If your seven- or eight-year-old needs some help with his spelling, or if he just wants to get even better at the subject, these year three spelling worksheets will help him write correctly the first time. 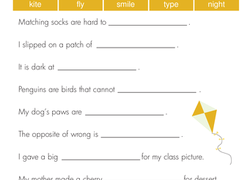 Kids who use these year three spelling worksheets can improve other facets of their language arts skills too, as they work with homophones, abbreviations, and compound words. 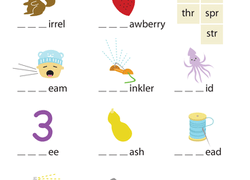 Try these year three spelling worksheets with your child. It's raining, it's pouring, inflectional endings don't have to be boring! 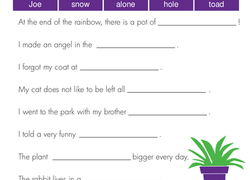 Students will add –ing, –s, and –ed inflectional endings to words with and without silent E’s in this rainy day-themed worksheet..
Students put the "-ing" in gaming with these inflectional endings dice! Help your second grader practise decoding words with the vowel combination "ou", as in the words blouse and bounce.